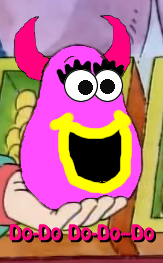 According to en.wikipedia.org/wiki/List_of_DHX_Media_programs, under the Cookie Jar list, it is rumored that Muffy will be getting her own spinoff in 2013. I have to look into this. Until I find more I will take this as a grain of salt. Since this came from Wikipedia it's usually not a reliable site, but there are those times they are actually correct. I also agree that anything on Wikipedia should be taken with a grain of salt, which is why I said "rumored" and "IF it's true." And I agree with the Alex and Maria idea! They should be depicted as cousins/best friends (though I prefer the former) who live right on the edge of Elwood City limits, and who are mainly friends with the Mighty Mountain/Glenbrook/etc. kids who live near them. That would explain why they are never shown hanging out with the Arthur gang. It's genius! Now your thinking what I'm thinking. That could be a good explanation as well as a bunch of other things that have yet to be explained. Also Jenna could potentially get involved. In my opinion I don't think enough was done with Jenna. They could also add other characters seen at Lakewood as well. It would further more backup what you say about not being seen with the gang all the time. I mean Alex and Maria are with the gang in some episodes outside of the school, but not all the time. 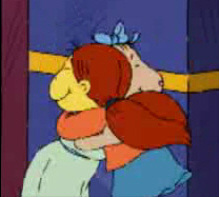 While I like Muffy, I can't see her getting a spinoff. She's such a central character on the show, and unlike Buster-- who regularly goes on travels and therefore a travel show with new characters makes sense-- Muffy more or less stays in Elwood City and tends to hang around the main group of Arthur characters. If anything, I'd like to see a spinoff involving the Frenskys (with Francine being more or less an ancillary character or not appearing at all). They've introduced so many members of Francine's family over the years, I could see it working. I never get to experience this as well. We share common ash Aaa.